We can provide you a lot of cardboard boxes with special printing process to improve your product packaging, especially the tube packaging for cosmetics is very good for promoting your brand to customers. 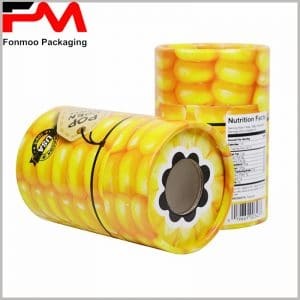 Ordinary cylindrical packaging is made of cardboard and copper paper, printing process is mainly single color printing or four-color printing. However, this rose essential oil packaging, through the use of specialty paper, with bronzing process and other special printing technologies, makes the essential oil skin care package dazzling, which greatly increased the added value of the product, so that customers are more willing to buy it. The most prominent feature of this small rose essential oil packaging box is that the middle rose is gilded and looks like a gilded rose carved in a box, which also indicates the characteristics that it is pure botanical essential oil. Although the use of gold foil for the engraved rose will increase the cost of custom packaging, it increases the packaging cost by 10% but in a greater scale increases the advertising effectiveness value and product added value, by more than 50%. A special pink paper background, when taking a closer look, you will see the rose leaves as a shallow background. The packaging design is always using a rose as an element to highlight the pure plant oil as a design concept, with a special printing process, with great marketing value. We provide you with tube packaging for cosmetics, not just a rose essential oil packaging boxes. We can provide you many other styles of cosmetic essential oil packaging, you can use as a custom reference. Since most of the products we provide are custom made products, providing us with relevant information based on your actual needs and obtaining exclusive custom packaging is very helpful for the sales.